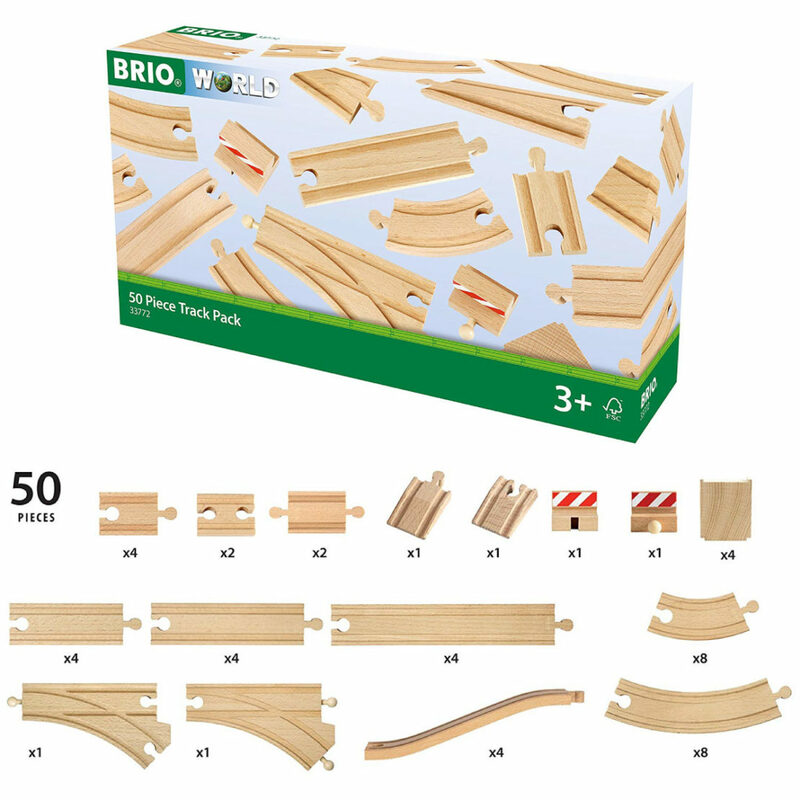 Brio Wooden Trains | Happy Up Inc.
Brio Wooden Railway sets are a classic. The first one was created in 1958, and at the core, not much has changed. The tracks are still made from heirloom quality hardwoods. Trains and their cars couple with magnets. 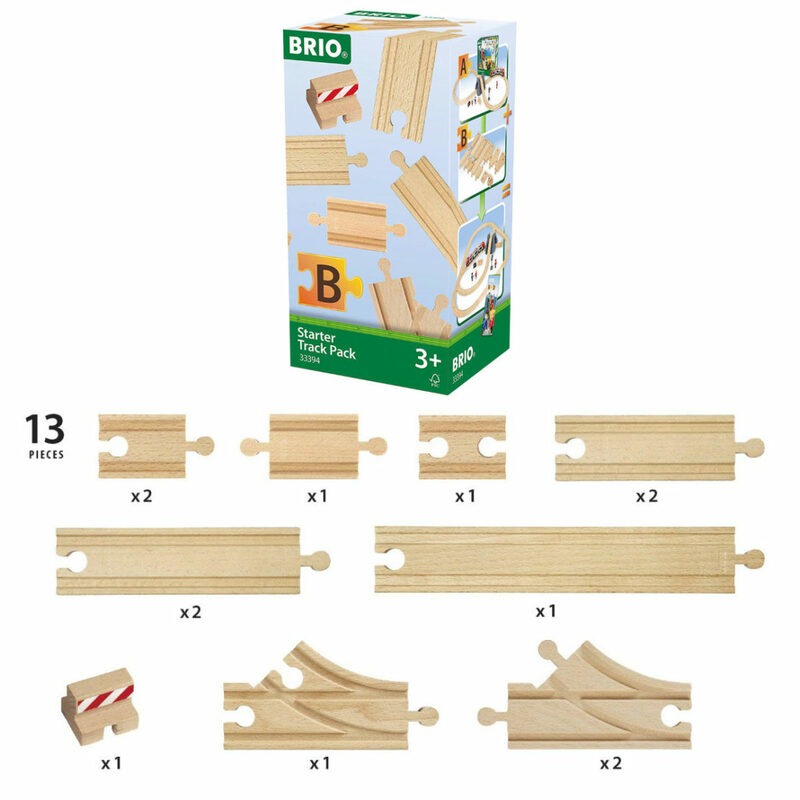 Wooden track pieces fit together intuitively. 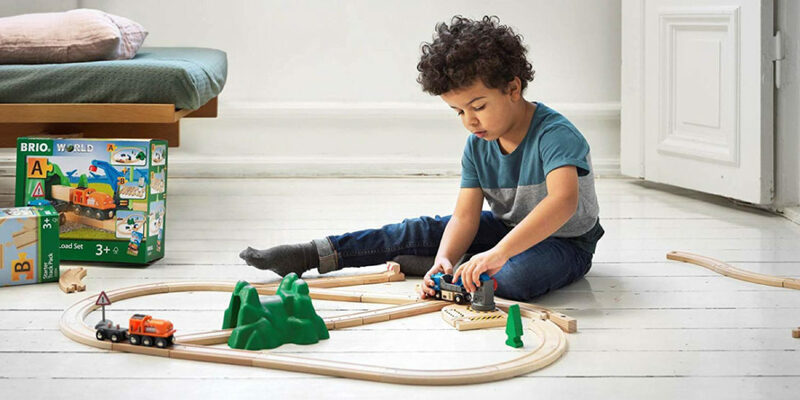 With enough tracks and accessories, the open ended nature allows the child to create a railway empire straight from their own imaginations. 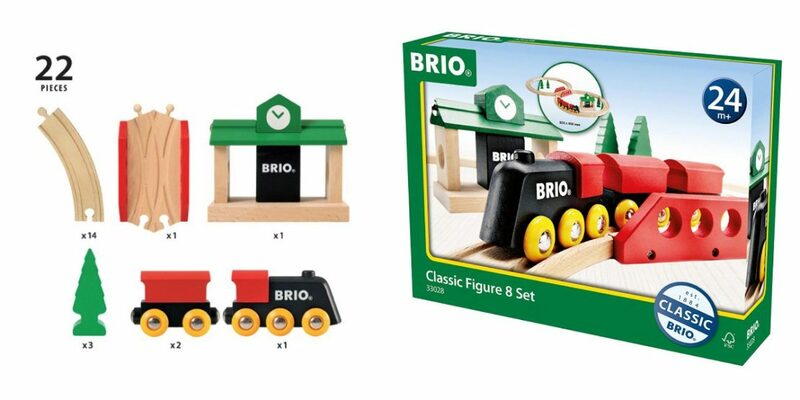 And because they use quality materials, Brio train pieces will last generations. Classic doesn’t mean stodgy. 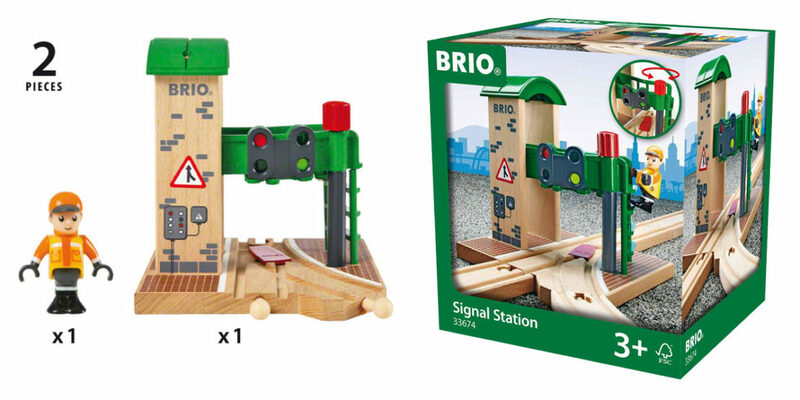 There has been innovation in the Brio world. 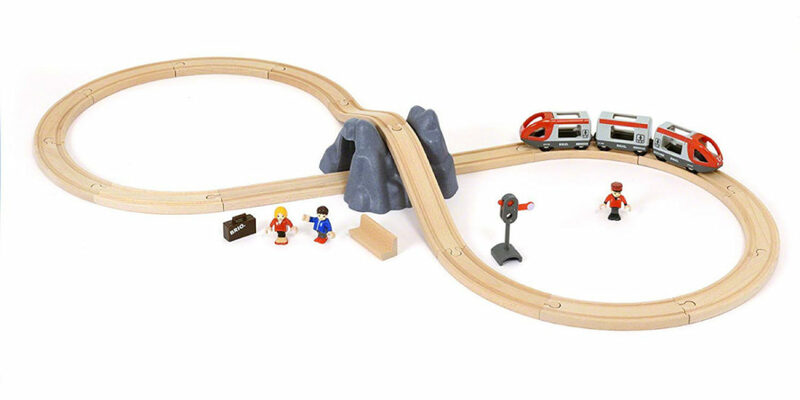 Remote control elements and the new Smart Tech line have added to the overall play experience. But it hasn't changed the fundamentals. 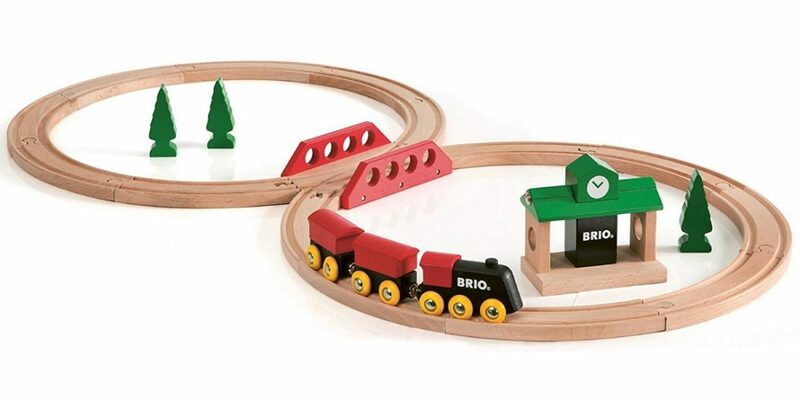 Brio isn’t about telling children how to play, they’re all about unleashing a child’s imagination and creativity. One of the best things: All tracks and trains will work together. So buy a set, get an expansion pack, and add on from there. The absolute most classic set of all! 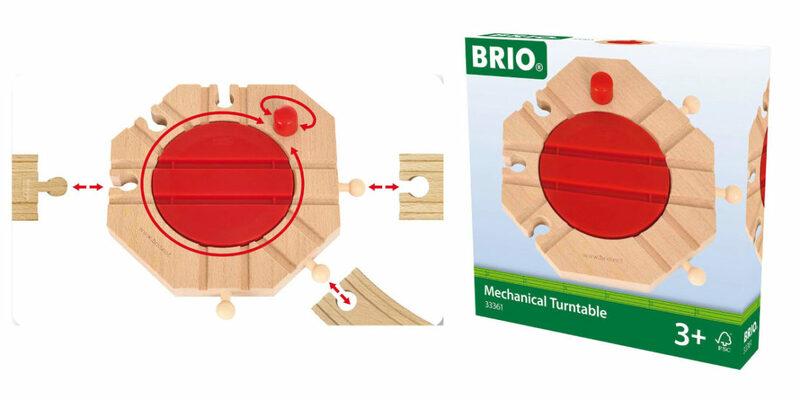 Connect the pieces and create two circle tracks joined by the criss-cross "x" bridge. A station and trees rounds out the set. 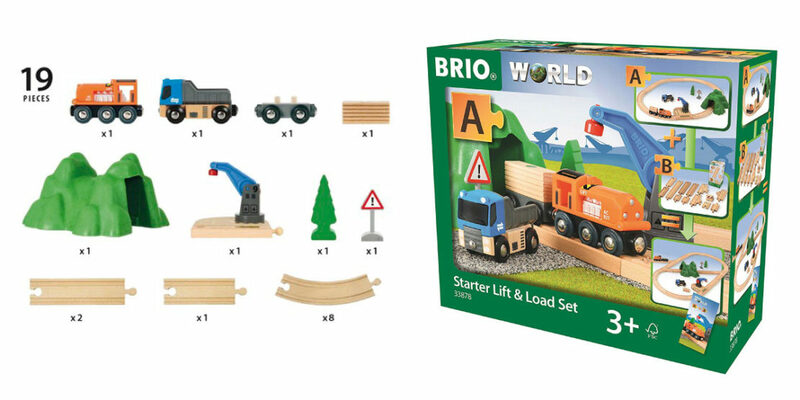 Everything you need to build and play with your first BRIO railway. 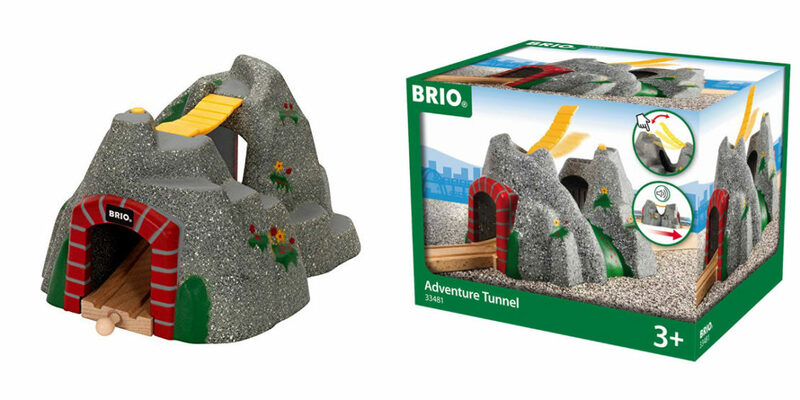 Start with a track layout formed like an eight, place the tunnel in the centre so you can go through it and over it. Use the stop and go signal to stop the train and let the passengers board. And off you go again! This set is packed with fun. 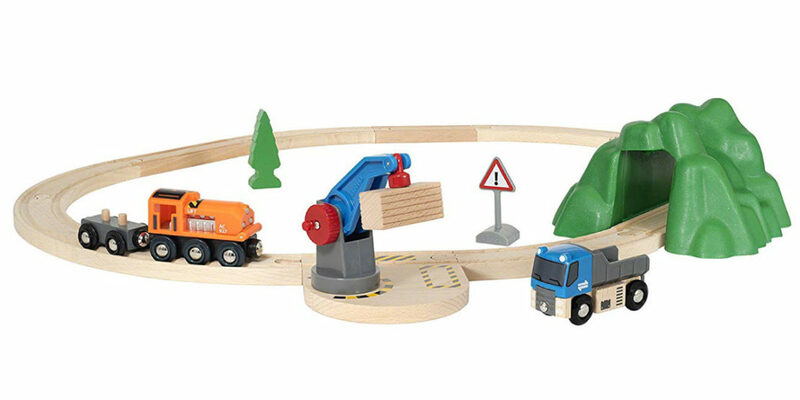 The grab crane, truck, pop-up hood engine and wagon work together to move the cargo from here to there. A farm is hard work! 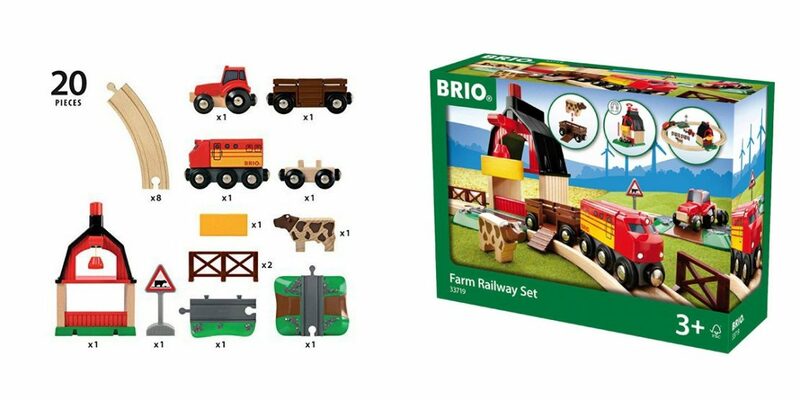 The train delivers supplies and the tractor hauls it to the barn. Store the bale of hay in the loft and make sure the cow is pastured. Who knew work could be this much fun? Take to the country! 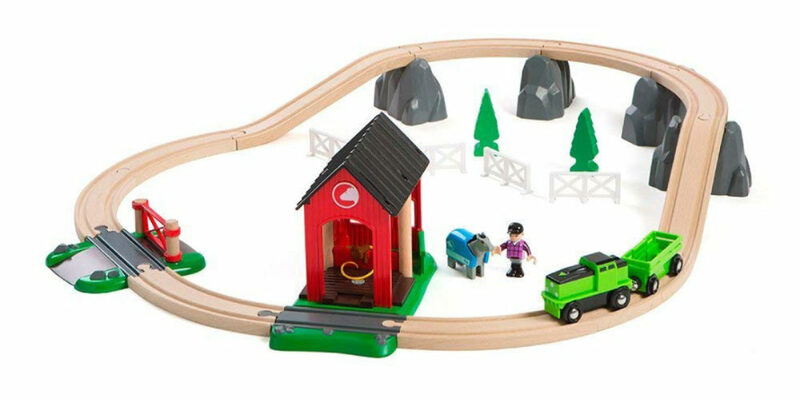 The wooden railway brings you over the rocks to a hidden countryside pasture. When your horse is up for a field trip away from its beautiful shed, give it a shower and lead it to the train. 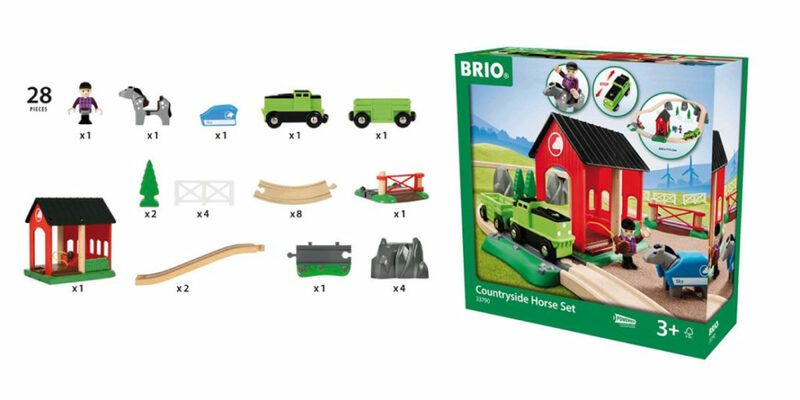 The wagon has a perfect design for horse transport, complete with a foldout ramp. Engine requires 1 AA battery, not included. 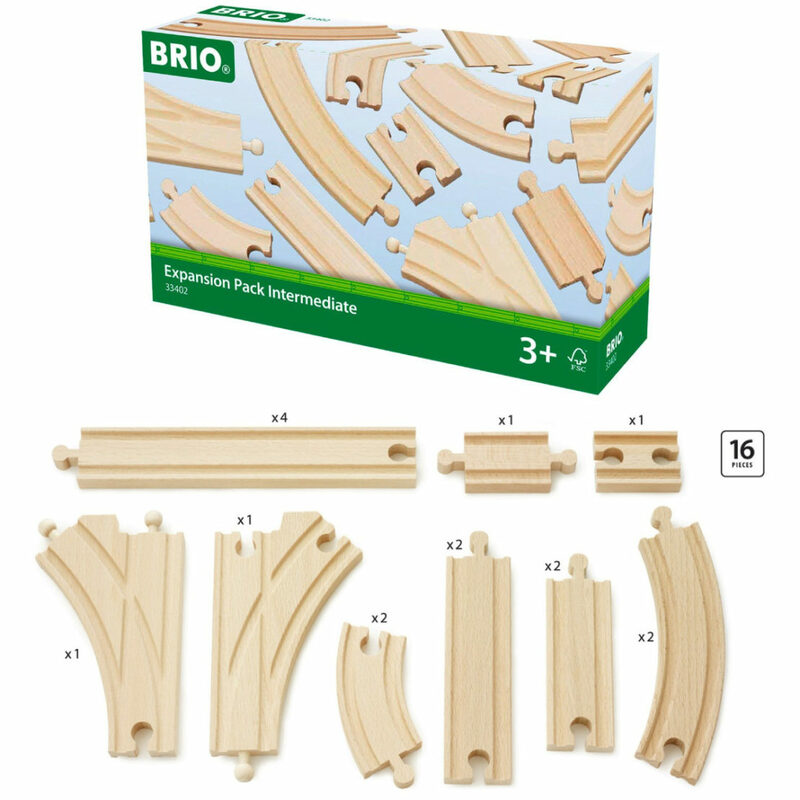 Grow your railway empire with expansion packs of extra tracks. More tracks = more layouts. More layouts = more fun! 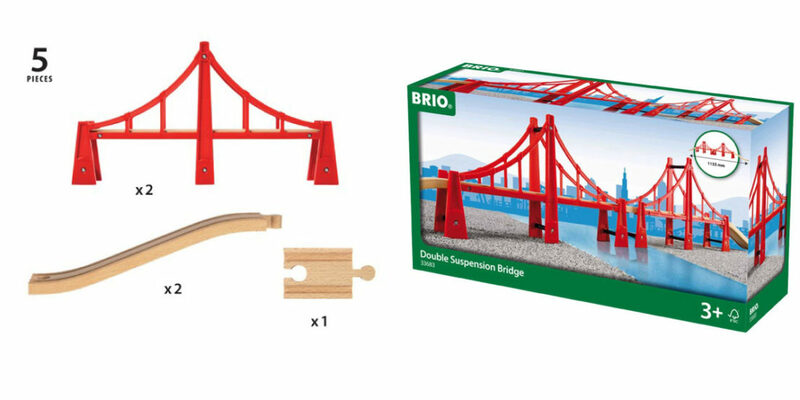 Also available: curves, ramps, supports, switches, etc. 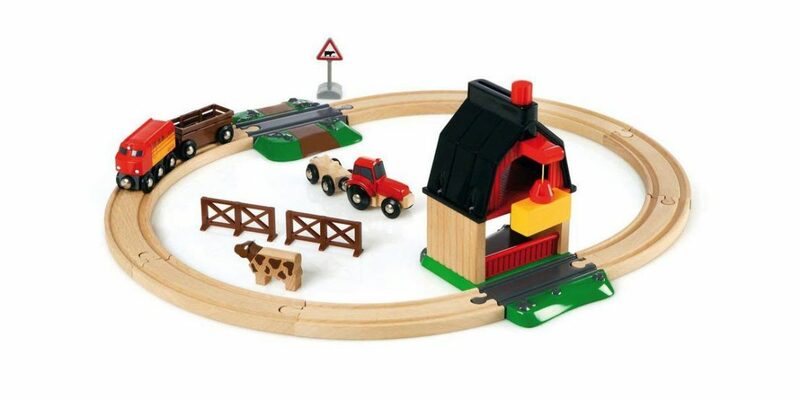 These are the pieces that bring your railway to life. 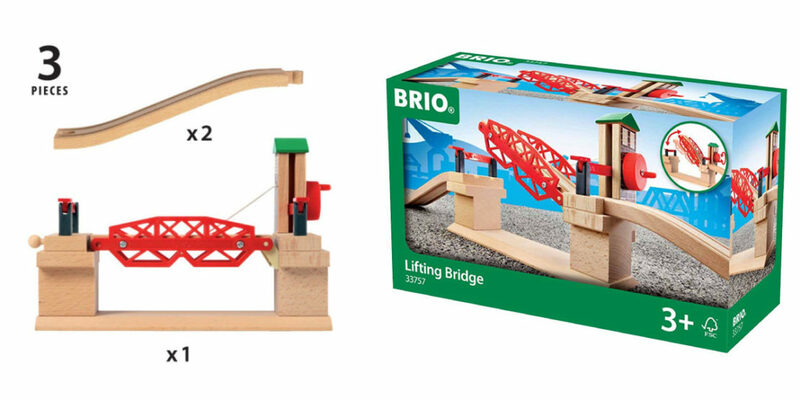 Lifting bridges, tunnels with sound effects, and special stations will thrill your engineers! Also available: additional vehicles, train engines, and train cars. 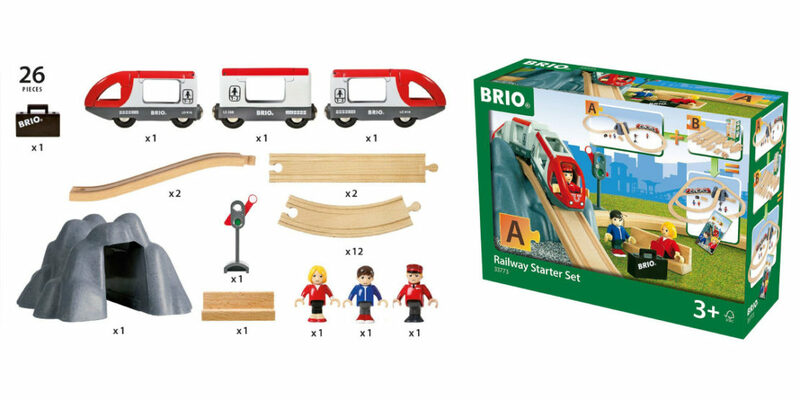 Looking for Brio SmartTech Trains? Click!